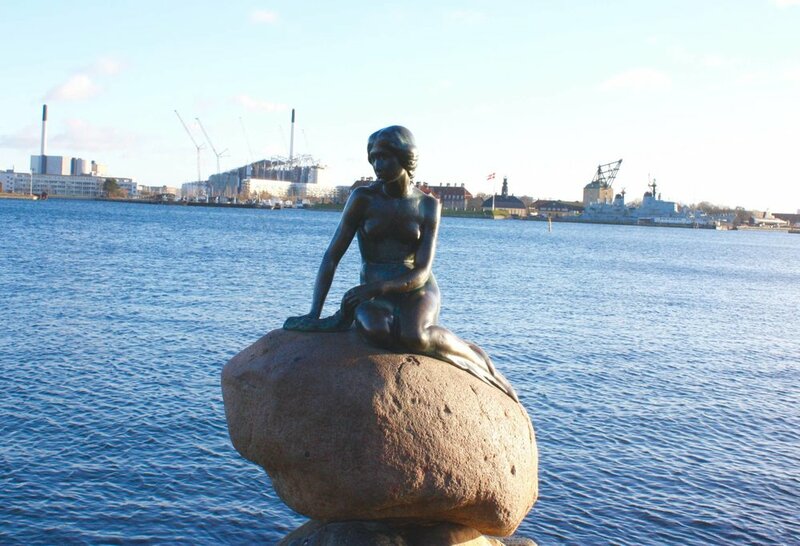 Next up in my weekend guide is the beautiful Copenhagen in Denmark. I highly recommend going in December: whilst you get much shorter days and its's dark by 4pm, the Christmas spirit is one of the best I've ever experienced. And with it being attainable to travel to for as little as £16 return flights, you'd be mad not to pop there for a quick weekend. Head for breakfast in Mad n Kaffe. Like many Scandinavian countries, you have a choice of breakfasts; you can choose between 3, 5 or 7 dishes. With choices such as eggs, grapefruit, pastries, yoghurts and muesli, it's worth it if you can manage it! I went for a 5 dish which was approximately 120DKK and kept me full till well in the evening. Head to the north of the city with a long walk (or a quicker bike ride with the local bikes to rent in the city that come with a built-in GPS: don't worry, cycle lanes are prominent around the city!). It's somewhat touristy and can be underwhelming for some, but the Little Mermaid Statue is still a must see for any fairytale fans. Whilst you're near the top of the city, the long walk is worth it to Leckerbaer bakery, who have the most Instagrammable biscuits you will ever see. Every day there are eight cookies on offer, each different and costing just 15 DKK each. Once you've had a quick brief glance, walk back through the old RAF quarters and go to the Designmuseum. It's free if you're under 25 and has some beautiful pieces throughout with Scandinavian furniture and artwork. You can also pick up some great prints, crockery and fashion items from the gift shop. Lover of theme parks and Disney? Then Tivoli Gardens is for you. As the second oldest operating theme park in the world, the fantastical decor and fun rides mean you can easily spend an evening among the bright lights and the loud screams. Spend the evening there with the twinkling fairy lights and magical atmosphere. If you're craving something to eat later, walk along the beautiful lake and join the fellow joggers and cyclists on your way to Sliders, a classy burger joint when you pick three different flavours of mini slider burgers and chips, and settle in for the evening with a beer or two overlooking the water. 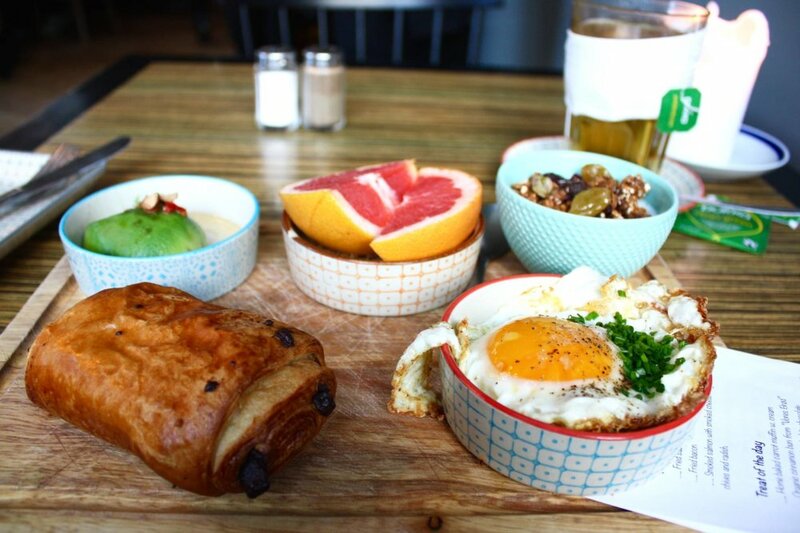 For an authentic Danish breakfast, head to Grød for the most delicious choices of porridge. With savoury versions not unlike a risotto, I recommend a classic sweet with apple, caramel and pecans to warm you up for the rest of the day. Spend a good part of the day exploring Christiania. As a hippy commune technically, this small ghetto has its own laws separate from the rest of Copenhagen. With rules such as no running (due to it being associated with riots and panic from police raids) and no photos being taken on pusher lane where you'll see trolleys full of hash, it's certainly an experience you can't miss. Female blacksmiths, Hakuna Matata mentioned everywhere, stunning graffiti and artwork; just some of the things to experience as you walk around this amazingly unique place. If you're going around Christmas time, then you need to get a view of the city before the sun goes down which can be as early as 3pm in December. However, for the best view that is free, head up to the Christiansborg Palace and take the lift to the top to get a panoramic view of the city. And for a beautiful snack break, head to Atelier September for delicious matcha jam salads and rich lattes (as well as an Instagrammable front entrance). When it starts to get dark, head around Tivoli itself with the other tourists to gaze upon the ornate window dressings. Of course, the Christmas Market is a must with hot mulled wines, rich hot chocolate and citrus and spices wafting through the city centre. Ryanair: fares start at £16 return and under two hours flight. Approx money: (two nights roughly £30 per night, then £50 per day) so under £160 for two days. To get from the airport to the city centre is easiest by train; taking 13 minutes to København H, it costs roughly 34DKK and is only 3 stops.